Held in conjunction with the Galion-Crestline Area Chamber of Commerce’s After-Hours event, it encourages area residents to visit historical site free of charge. With Brownella Cottage and its grounds decorated for fall and the Halloween season, approximately 135 people attended the gathering. Guests were welcomed at the door by members of the Galion Historical Society, as well as the Chamber of Commerce, and were given full access to the cottage, museum, and carriage house on South Union Street. Mike Mateer, vice-president of the Galion Historical Society, spoke briefly to the crowd about what brought this project together. “It demonstrates how a vision and a collaborative effort between Galionites — past and present — estates, and organizations of philanthropy can bring a project to life and to completion,” he said. 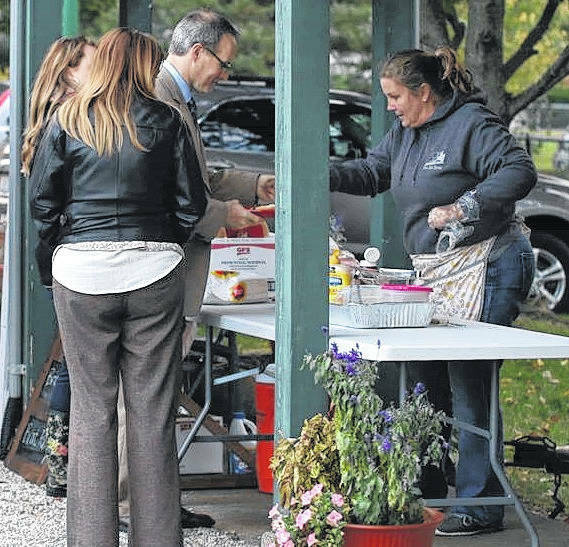 As part of the event, members of the chamber were set up at various locations on the property. Rus-Men farms grilled burgers and brats for purchase, Cake and Icing had cupcakes and other baked goods for sale, 1803 Taproom offered free samples, and many other Galion area businesses were on-site. The historical society held a 50/50 drawing for those who purchased a membership for $10. Another part of the evening was a ribbon cutting at the Historic Grace Church and Activity Center directly across the street from Brownella Cottage, which also celebrated the addition of a handicap access ramp. The ramp was an effort that began with the help of the late Mary Court. 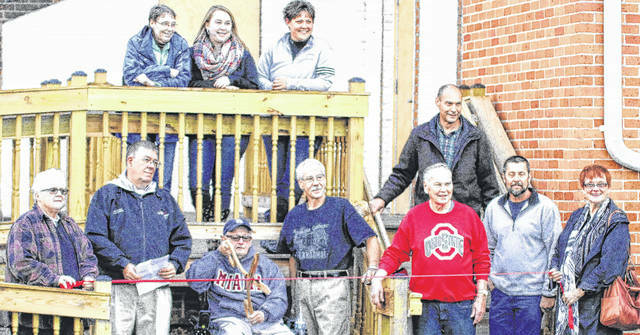 Memorial funds from Mary Court and Bob Muth; along with funds from the Walter Hessenauer Foundation, an Arthur J. Freese Grant; and donations from members and supporters of the Galion Historical Society made the ramp project possible. “A plaque honoring those people and agencies will be displayed at Grace Church,” Mateer said. The honor of cutting the ribbon to the ramp was given to Galion High School history teacher Bill Stepro. Upcoming plans for the Historical Society include participatinon in the annual Come Home to Galion event, which will kick off the Holiday season in Galion. They are looking even further ahead to the financial future of the Historical Society. The recently established “Brownella 150” is a plan to secure the financial stability of all properties and interests of the Galion Historical Society for far beyond the immediate future. While there is a solid investment base in place , it isn’t enough to cover the possibility of incidental expenses of operating and maintaining the four properties managed by the Historical Society. For Mateer, the changes and plans for the future are efforts to change and evolve with the times.